Dla kogo jest haloterapia? Kto może korzystać z leczenia solą? Using the beneficial properties of salt on the body requires a high level of health awareness. Unfortunately, there are very few real health consciousness. One would get the impression that we are free people who have an influence on everything. Is it really so? Do we have an impact on the quality of the air we breathe and eaten food? Few of us realize that more than 1,000 tons of dust are drifting in the air every day. Small particles of pollutants with different chemical composition and unexplored impact on the body are deposited in the airways of each of us. 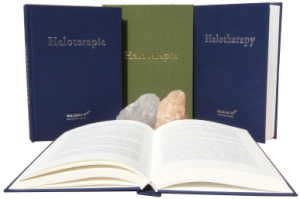 The answer to the question: who is halotherapy for, is obvious. How to clean the airways from dust pollution? Clinical studies show that dry salt aerosol has a bactericidal effect, moreover, it influences the thinning of mucus and facilitates its excretion. Halotherapy in the form of inhalations is commonly used in the prevention and treatment of all patient groups, including children, the elderly, industrial workers, etc. Are there people who do not need halotherapy? Fortunately, modern medicine begins to look at the human being holistically. Thanks to this, the effectiveness of treatment definitely increases. By asking who halotherapy is for, we will hear the answer: for everyone. By using a safe substance, we achieve effects at the level of 85% efficiency.